Doing donuts in Time Square to earn extra followers feels like a good distillation what The Crew 2 is all about. Last night in The Crew 2 I drove from New Orleans to Manhattan in about 20 minutes. 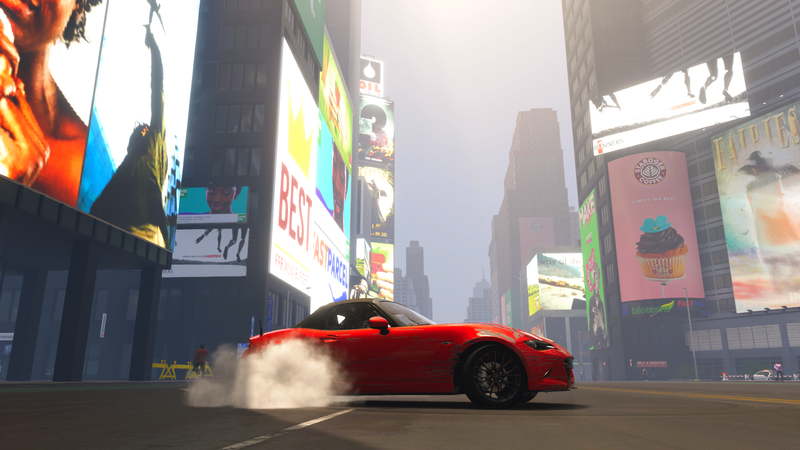 Behind the wheel of the free, workmanlike 2016 Mazda MX-5 the gamegave me to start, I zig-zagged between other cars because one, I was going 150 miles an hour and they were not; and two, narrowly avoiding collisions netted me 10 extra followers on the in-game social media each time I did it. Exposure is one of the currencies The Crew 2 is built around, used for unlocking new types of events and vehicles. But despite the tens of thousands of made-up people allegedly tracking my progress, I felt pretty lonely. Ubisoft’s new racing game, once again developed in large part by Ivory Tower, has significantly scaled back ambitions compared to 2014’s The Crew, but it doesn’t feel any more focused as a result. Where the first game tried to wrap an overarching plot of family and revenge around a massive open world and myriad racing activities, The Crew 2 doesn’t worry too much about why you’re criss-crossing the United States, settling for just adding more boats and planes. This time around you’re simply a nobody wandering onto the scene looking to become the next driving sensation online and earn the respect of your peers by impressing representatives from each of the pillars of Motornation: street racing, offroad, freestyle, and pro racing. Free mode, in which you drive around the game’s hyper-compressed recreation of the country, is still a focal point but it feels somewhat meaningless. More than once while driving down Broadway in New York or along the cliffs overlooking the Pacific outside Los Angeles I felt aimless, like someone driving around looking for errands to complete just because it was a step up from the alternative of returning home and being bored while stationary on the couch. The Crew, a nice-looking game that took Ubisoft’s penchant for virtual sandboxes and applied it to an arcade racer, was dismal when it released. It improved in the following years thanks to a couple of meaty expansions that overhauled the look and added more vehicles and mission types. But The Crew 2, based on my first six hours with it, feels in many ways like the publisher decided to start all over again. Though it retains most of the original’s better features, like speed traps (drive down a city block as fast as possible) and motorcycles, and builds out some others, like the photo mode which now allows you to take highly produced snapshots, I look at The Crew 2 and can only wonder why Ubisoft felt it was necessary to make another one if all it wanted to do is add river races and aerial stunts. Despite all of the icons that pop up on your map as new activities are unlocked, the world still feels surprisingly sparse for an open world that spans from sea to shining sea. None of the planes or boats I’ve piloted so far felt as sophisticated as the unique handling built into each of the game’s different cars. While it’s fun to be able to morph from a plane into a boat as soon as you start flying over some water, the new modes of travel don’t add much to the world. If anything, they make driving between, say, Washington D.C. and New York City feel like extra work. The world is sparse enough in terms of things to do and see that more than once I felt like getting off the highway, taking to the air, and just flying in a straight line to whichever waypoint marker I’d set. At one point I encountered another player in the game, and for a few moments the game seemed to spark to life. Somewhere near where the real life Atlanta might have been, I encountered someone driving a McLaren. As a way of saying hello I rear-ended them going as fast as I could. A few seconds later they tried to side-swipe me back. This sort of car talk continued for a couple minutes, the other player occasionally slowing his hypercar down so my Mazda could keep up. We both racked up a few extra thousand followers during this dance as well, since the game awards bonuses for combination play between people, apparently regardless of whether it’s in the service of a specific objective or not. It didn’t take long, though, for the fun to wear off, and I turned back to my map to see what real events I should turn my attention to. The Crew 2 looks impressively ugly from up in the air. I could go off-roading somewhere up North or drag race back on the West Coast, activities which are entertaining enough to deal with on the road to earning more money to buy faster and more stylish cars. 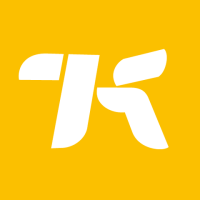 The game isn’t officially out until Friday, June 29, at which point The Crew 2’s alway-online world will feel more populated and offer more diversions from AI opponents who, like the first game, are still mostly atrocious to compete against. Still, it’s hard to see where the game’s recreation of the U.S. evolves much beyond being a glorified waiting room for hanging out in-between races which don’t significantly distinguish themselves from other games. In a six months or a year’s time, that could all change, but for now the game feels very much still under construction.